Presented by Calhoun Psychology Instructor, Sara Sayles. 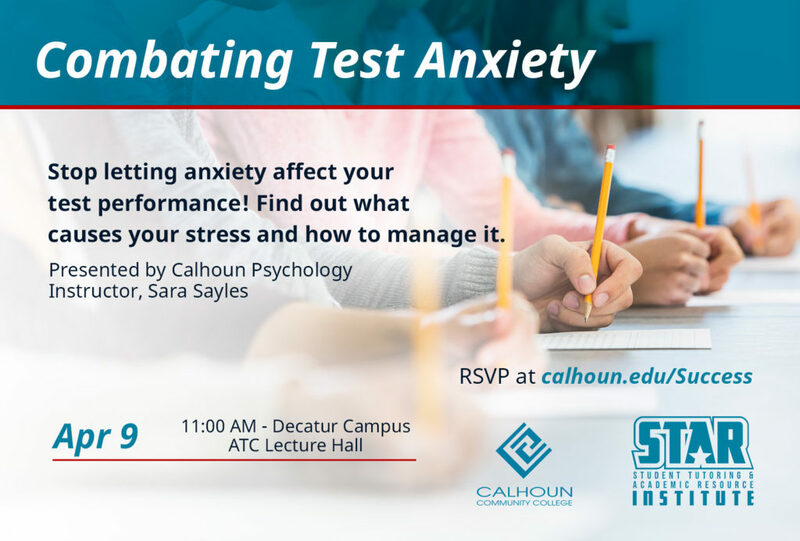 Stop letting anxiety affect your test performance! Find out what causes your stress and how to manage it.